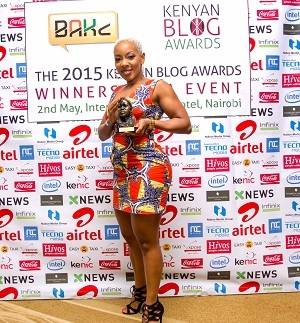 Every year for the last four years, Bloggers Association of Kenya, BAKE embarks on an annual journey that culminates in the awarding of Kenyan bloggers, during the Kenyan Blog Awards. The 5th Kenyan Blog Awards have been launched today. Going by tradition, this also coincides with the official opening of the submission phase. You can submit your favorite blogs in each of the categories. Thereafter judges will decide the best 5 in each category before the public votes for their best in each category. This year, one new category, the Best Religious/Spirituality blog, has been added to bring the number of categories to 19. Past winners of the Kenyan Blog Awards include: Mutua Matheka, Silvia Njoki, Sharon Mundia, Jackson Biko, Sam Wakoba, Dennis Machio and Limo Taboi. To submit blogs into the Kenyan Blog Awards 2016, bloggers and their fans should visit this page. Voting phase – March 2, 2016 to April 30, 2016. Winners’ announcement – May 7, 2016. The annual Kenyan Blog Awards seek to reward and recognize exceptional bloggers that have great and useful content, are creative and innovative. These awards represent BAKE’s efforts in the promotion of quality content creation. Separator image Posted in Her reading list and tagged with Best Business Blog, Best Corporate Blog, Best County Blog, Best Creative Writing Blog, Best Education Blog, Best Entertainment/Lifestyle Blog, Best Environmental/ Agricultural Blog, Best Fashion/Beauty/Hair/Style Blog, Best Food Blog, Best Health Blog, Best New Blog, Best Politics Blog, Best Religious or Spiritual Blog, Best Sports Blog, Best Technology Blog, Best Topical Blog, Best Travel Blog, Blog Awards 2016, Kenyan Blog Awards.